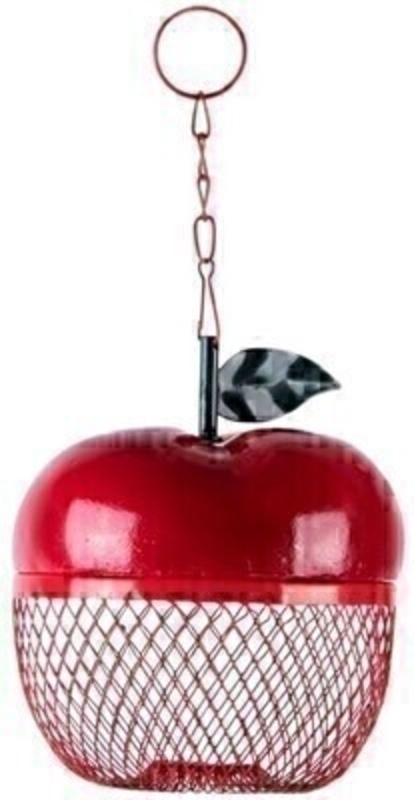 Fallen Fruits shiny red apple shaped nut feeder / birdfeeder. Easy to hang. Can be filled with nuts from the top. Will look lovely hanging in any garden. Size: 12.5 X 12.5 X 14.5 cm.